Our bedroom can be configured in two ways: twin or double. Here you can see the room in its twin configuration – with two good-sized exceptionally comfortable beds. 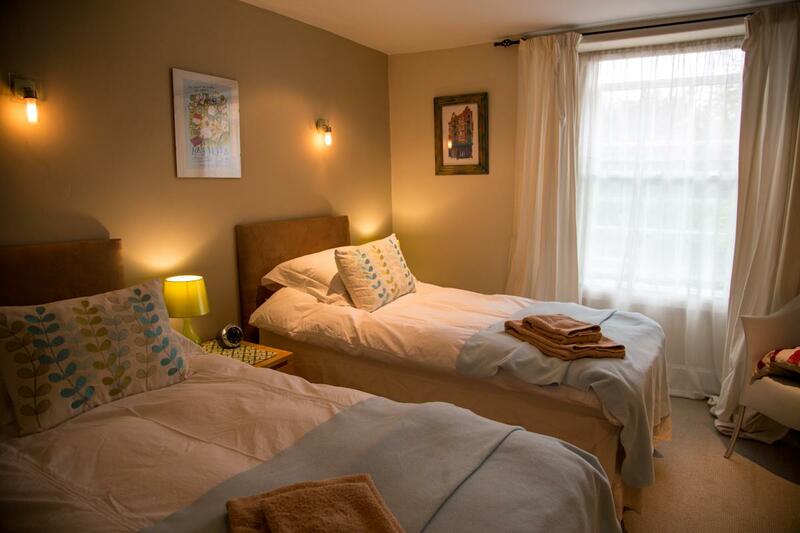 If you’d prefer the room set up with a double bed, please let us know when you make your booking. 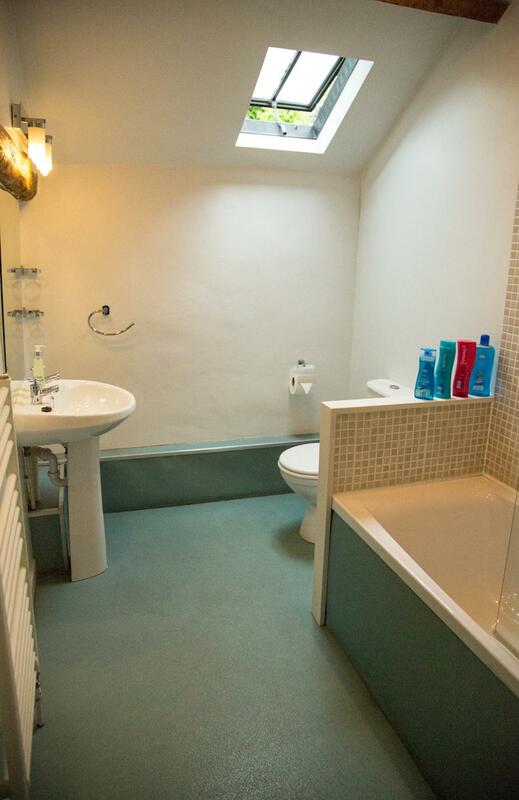 This room has a large ensuite bathroom with a full-sized bath and shower above.